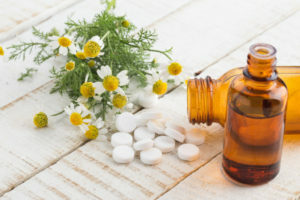 Homeopathy is based on the principle that “like cures like”, where a ‘micro’ dose of a substance can cure the symptoms caused by a larger dose of the exact same substance. Homeopathic remedies stimulate a healing response in the body, restoring balance and harmony. They are highly diluted natural substances that are safe to use on babies, to take during pregnancy or when breastfeeding.